Retro lamps are very much in fashion these days. Calling our yesteryear fashion progressive would be appropriate. Remember the flashy prints used on vintage lamps? They sure are breath-takers even today! 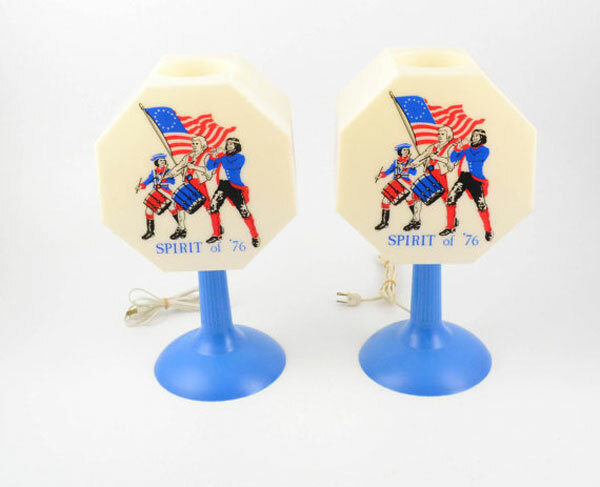 How To Make Tacky Retro Lamps DIY? I once remember dropping anchors in a faraway countryside home with family. What took me instantly by charms is the simple yet awesome vintage décor inside. Another thing that drew my attention straight away was the little cone lamps bedecking the vintage themed bedroom. I did overhear someone saying that it was the metal stands of the cone lamps that made the statement. All said, my obsession with retro lamps began right there. Cone lamps, glass lighting retrofits and shades in the shape of a fish bowl – very 1950! These accessories in period style are matchless in terms of elegance. It was during the 1970s when materials like melamine and ceramics were put to use. Result – eclectic shades that continue to entice people till date! Do you have a similar taste for vintage decorating items just like mine? I believe the only way to spruce up the interiors of a home and make it edgy is by adding the very age-old yet the very beautiful retro style bulbs and shades. Planning what to buy? Luckily for us, the markets are flooded with ample options. From table lamps to rocket lamps and ceiling shades, we pretty much have access to every product. Thanks to the boutiques and designer labels who customize the amazing retro lamps as per our needs. Okay guys, enough of what’s up for grabs and what are vintage shades. Let’s see what we can buy to refurbish and enhance the whole appeal of our cozy homes. 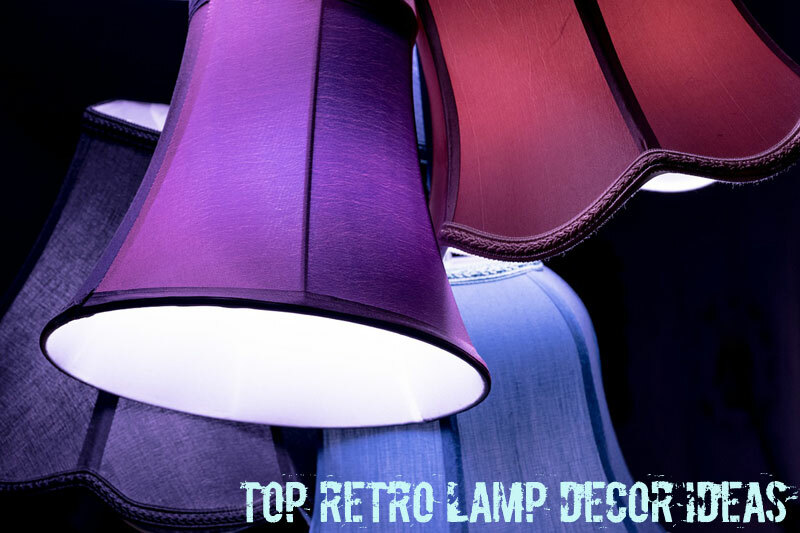 Take a quick look at my favorite list of the best top 22 retro lamps available in the market. Who knows, this could inspire you in a big way! A light orange shade in the shape of a cone fitted to a brown ceramic base is nothing less than perfect. It screams vintage but is equally sober. A must buy for ones who are keen on bedecking their living rooms with an exclusive retro lamp. Not to forget, the 27-inch height of this mid-century inspired vintage lamp goes perfect with almost any décor, be it classic or purely contemporary. Cut glass crystals are in vogue right from the retro age. From chandeliers to lamp shades, these shimmering crystal additions have roped in buyers for ages and still continue. Picking a gorgeous floor lamp could beautify your interiors by leaps and bounds. Believe it or not but a floor lamp is definitely a statement accessory. A strong chrome base makes this retro lamp very durable. Not to forget, the beautiful crystals leave an everlasting impact. Did you know that the era of 80’s marked the introduction of glass lamps? Etched with colorful designs and coupled with usual light bulbs, this product is winning vintage. It comes in a pair of two and has a shining gold chrome base to it. What’s not beautiful about this product? I still wonder! Shelling out riches for products that are common and not-so-impressive is worthless. If you are really looking to enhance the interiors of your home, buying three-tier lighting retrofits can seal the deal for you. 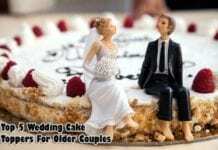 It is vintage, elegant and swanky – a combo you should never miss! This retro lamp goes back to 50s where the “back-to-future” theme was very popular back then. John Stephenson who is an artist, collector, art historian where he combined old automobile lights and mechanical parts (such as speedometer) and electrical (like the clock dial) to bring out a 1950’s sci-fi look in the slick looking retro lamps. In the early days of electrical lighting, scientists such as Thomas Edison tested and retested as they searched for long-burning filaments. Back in 1890s, the filament choice was carbonized cotton. RH bulbs have tungsten filaments, which is used to replicate the single hairpin loop of a vintage design. Like the original, the bulb ends in a small glass tip created when turn-of-the-century manufacturers sealed the bulb. Position it within a clear shade or exposed socket to enjoy its shape and ambient glow. Check out amazing collections of vintage looking bulbs with a single hairpin loop or vertical carbon filaments like squirrel cage and much more. These antique glass jars inspired these softly glowing, industrial-chic pendant lights and you can own this for $99. Casting a cool glow over tables, counters and desks, these sculptural lamps work well as single pendants, but they’re especially head-turning when hung in pairs or multiples at different heights. 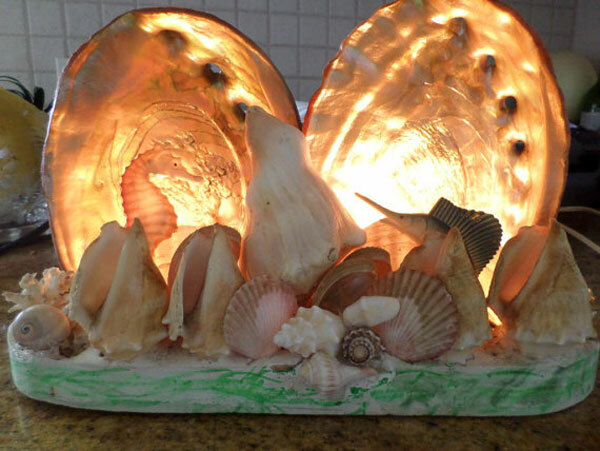 You can surprise your friends and families with these amazing retro-lamps. Show off your “major award” with this vintage ode to Christmas past. This classic lamp is a must-have for anyone who loves the movie A Christmas Story. NECA provides customers with a 20-inch replica of the original prop from the movie. The lamp includes light from under the shade as well as through the leg itself. Give guests a laugh at this fantastic lamp that will be a statement piece in any house. Surpar’s House helps give your home a classic look with this art deco style table lamp. The highlight of this piece is the Edison Bulb that showcases the light inside the shade. The lamp is made from high-quality wood and glass materials. The bronze accents along with the glass dome shade give a vintage look that is perfect for any home that appreciates showcasing antique style home decor! Feeling like channeling your inner Don Draper? Soften the lighting in your room by adding this beautiful square lamp that is complete with a fabric lampshade. This vintage lamp will help create a fantastic atmosphere while giving a retro-inspired vibe to any room! The light the lamp radiates will either be warm or white light to apply to any situation you may need. The minimalist aspect of this classic lamp makes it versatile to fit any room or decor in your home. This unique lamp is the perfect vintage design for anyone who appreciates industrial-style decor. The craftsmanship and design in this retro lamp are enough to make anyone want to purchase it but combined with the intricate industrial pipe design; this is a fantastic accent to any room. Easy installation along with environmental protection and the dimmer capability allows this vintage lamp to be comfortable as well as affordable. Relive good days gone by when life was more straightforward with this retro-inspired lamp. Retro never looked so good! This steampunk inspired lamp is made of the most beautiful wood and metal that is handmade to provide the highest quality product. This is a phenomenal addition to an office or home. The art deco style allows you to show off your expansive style while providing you with a dimmable switch to give off the perfect light every time. The minimalist design of this retro paper star style vintage lamp is the perfect accent for any room. The nine angle star is inspired by days gone by and environmentally friendly due to its use of paperboard to create the shade. The cream of the star pairs well with the dark wood of the base and would be the perfect gift for anyone! The softer lighting creates an atmosphere to relax and bask in the ambiance. Bring a funky design like this industrial pipe robot lamp to your house to have your guests talking about it for ages! This lamp has so many accents that create a vintage themed tribute to the days of the working man. The red valve handle and bare light bulb work together with the rusted accents of the industrial pipe. Installation is frustration free and simple! The rectangular prism design of this lamp allows for a vintage type feel along with the modern touch of a USB port for charging. 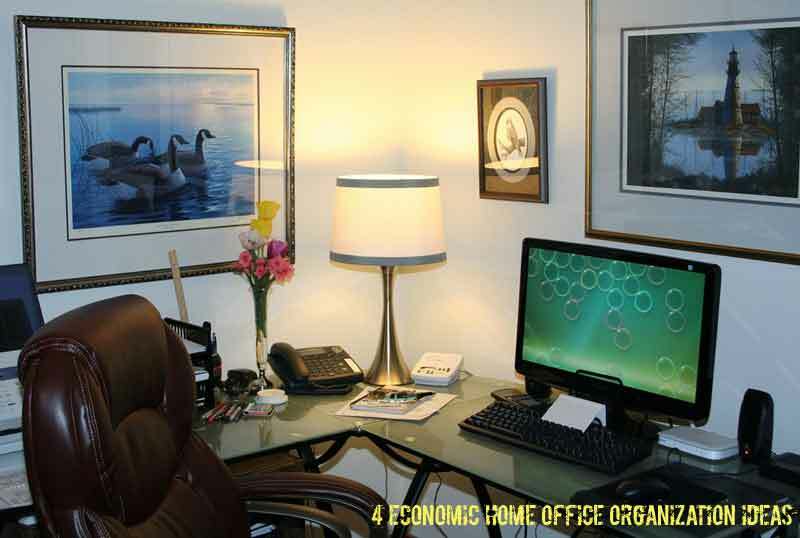 The ambient soft light that comes from this vintage-looking lamp is the perfect accent to any room or office. The warm light also helps keep your eyes comfortable without glare. The convenient switch allows for easy on/off access always within easy reach. Lights, camera, action! This vintage inspired tripod lamp will bring Old Hollywood to the comfort of your home. The adjustable height and portability of this lamp allow it to be used in any setting. This art deco piece will bring ritz and glam to any party! The perfect accent for a home that loves entertaining and having unique interior decorating. The dark wood base of this retro-inspired lamp combined with the dark industrial style iron pipes creates a retro look that promotes intrigue and brings a unique atmospheric addition to any room. While the design is simple, the sophistication of the minimalism along with the contrast between the light from the bulb and the iron pipe will bring together the decor in living room or kitchen. Here are some already done DIY vintage lamps that tickle your creativity! 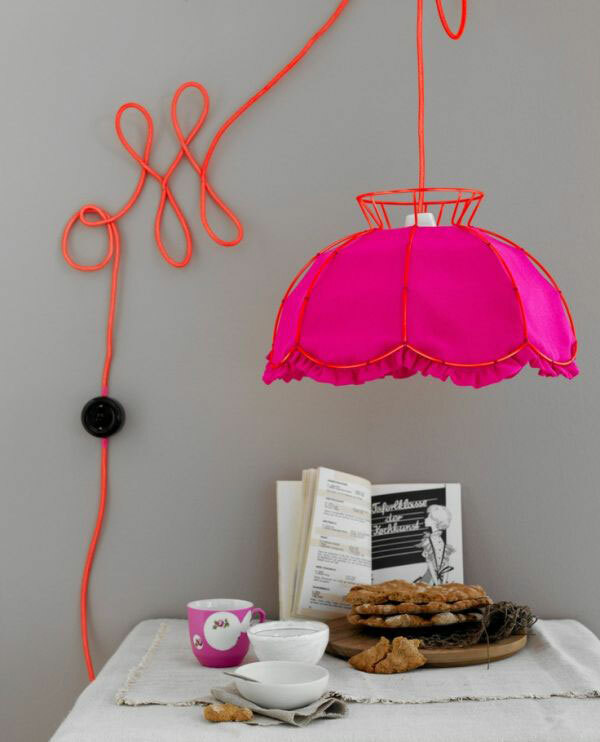 Why hide your lamp cables and cords when you can turn them into beautiful wall art. I was blown away with the creativity exhibited in these wonderful wall art collection using lamp as the center piece. Check it out and your imagination will be tickled for sure. Have old and unused classic vinyl records? You can have a classy lamp reminiscent of the 70s. 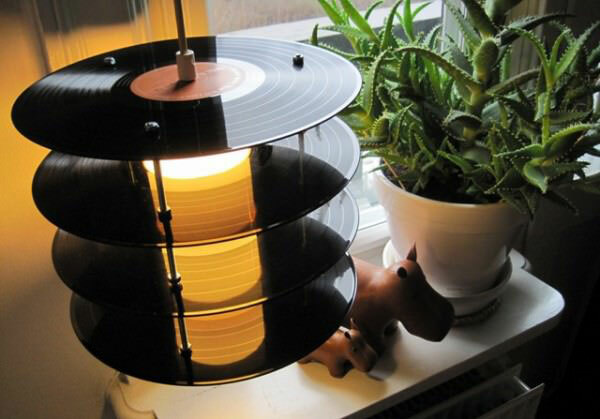 This LP Table Lamp is actually made out of old vinyl records. Yet instead of bending the material into unrecognizable shapes, the records have been maintained in a layered look. It is designed by Genanvendt, a studio based in Denmark, this retro lamp makes a soft and subdued lighting ambiance. This is not only due to the records themselves that help contain the glow, but also the screen of translucent material creating a cylinder around the light bulb itself. This is so cool idea and would be great for kids room. 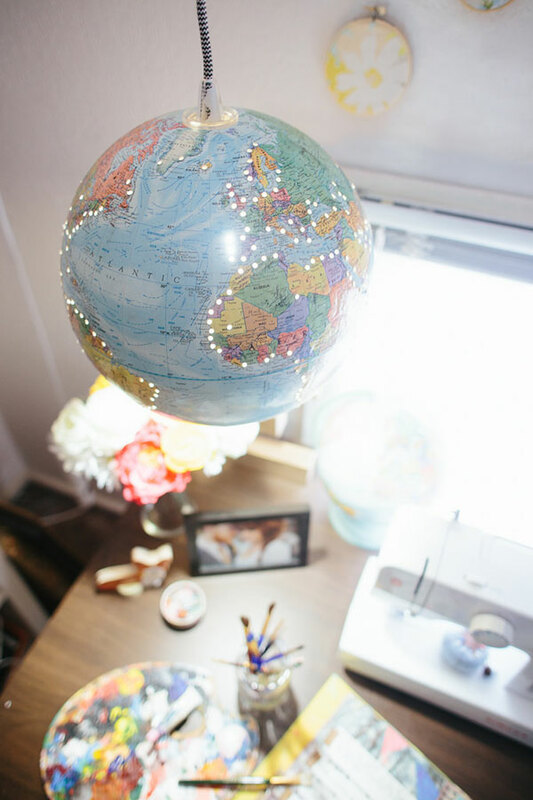 I really love the holes around each continent and the whole globe lights up so beautifully. These retro lamps bring together the good old days and modern appliances. By having a retro lamp in your room, you will be showing off your style and your appreciation for vintage-inspired culture. From a casual setting to a well-planned contemporary theme, retro lamps are great additions for any home. What is your favorite on these awe-inspiring light fixtures?